For four weeks we discussed the subject of Forgiveness, as we referred to chapter 5 of Perceptions, a book written by UMS founder Damien Simpson. Without forgiveness, you cannot have love. Love causes change, it does not demand it. 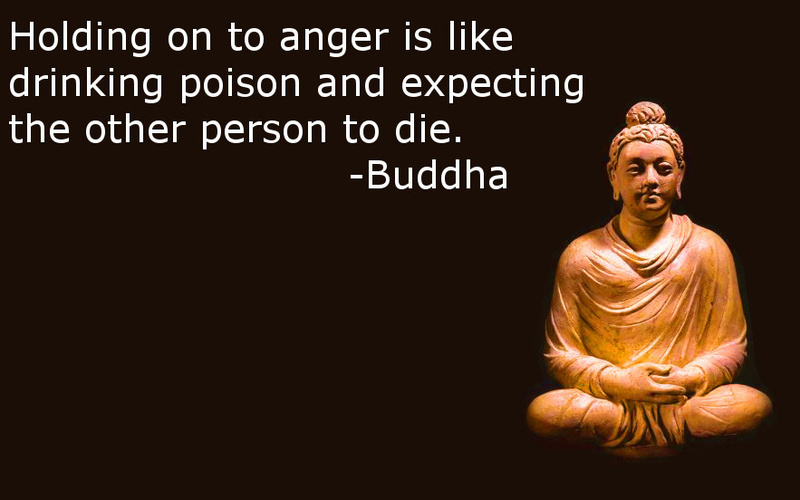 Holding a grudge is like drinking poison and expecting the other person to die. forgive. Our burden gets heavier and heavier. We give others power over us when we hold onto a grudge. When someone feels wronged, a relationship can feel irreparably broken, and easy to discard. But like a child who has broken his brand new toy, would it not be better to just try to fix the toy so that we can enjoy it like we meant to in the first place, rather than simply throwing it out? We begin relationships because they bring us happiness – would we not rather return to that state by forgiving those who have injured us than choosing to hold the anger and do without the enjoyment of the friendship? Our discussion facilitator, Lara, shared with us a book by author Mark Anthony Lord called The Seven Living Words, which contains a section on forgiveness. 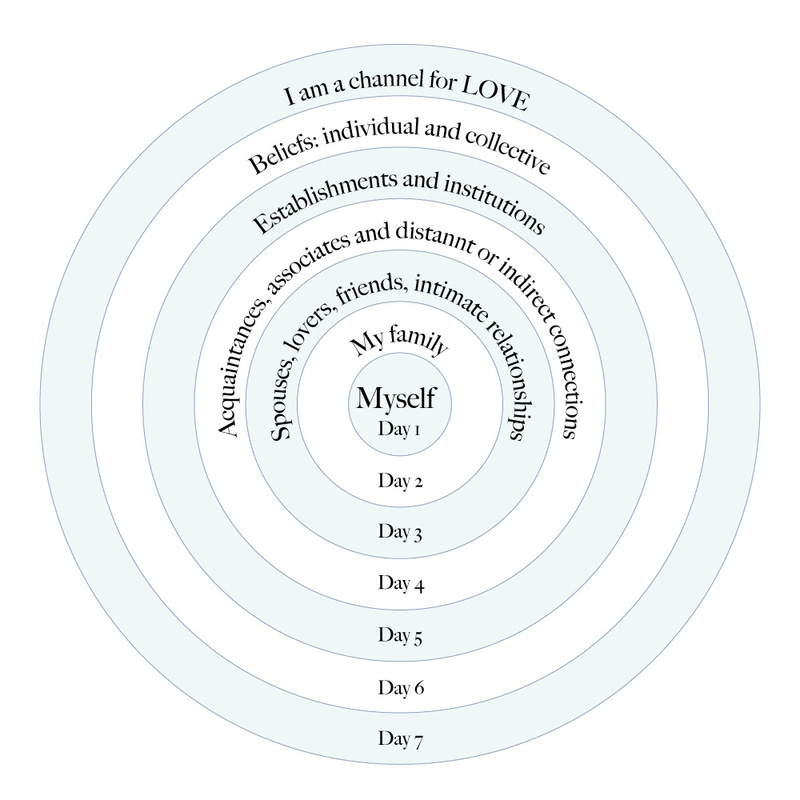 The author uses a structure he calls The Forgiveness Circles as a framework for focusing our energy on forgiving everyone in our lives, from the very impersonal establishments and institutions of the world, all the way down to forgiving our very selves. Each day we are challenged to focus on forgiving people or groups in each circle, starting at the center and working our way out, and the author suggests specific prayers aimed at the likely possible resentments we may be holding against each. What happens when we do not forgive? We can become physically ill. It can cause many of us to “self medicate” through substance abuse or other addictive or compulsive behaviors. It can change the way we might otherwise live. And does this only affect us? It does not. Our anger and frustration seep out of us and have an effect on the people around us, especially the people closest to us. 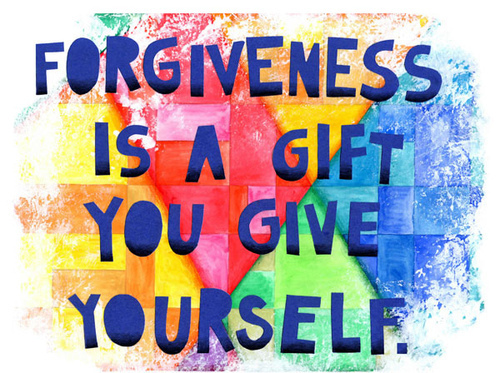 One of the first people we need to forgive is ourselves. When we hold on to mistakes we have made, or negative self-perceptions, we are actively reversing any progress we might be making in our spiritual evolution. As in week one of this discussion, the point was again made that forgiveness relieves you of your burdens, allowing you more freedom to carry on with your true pursuits. Why do we not forgive? Perhaps we have trouble seeing things from the other person’s perspective. If we make an effort to understand where another person is coming from, we may be able to be more compassionate for that person, and this can pave the way to forgiveness. The Book of Luke 23:34 was quoted: “Then said Jesus, Father, forgive them; for they know not what they do.” This says to us that forgiveness is a process which starts in the very midst of the injustice. It was noted that Jesus forgave his tormentors during his crucifixion, not later, after apologies had been made, or therapy had been received. We should strive to forgive immediately. Lara shared with us the story of a man whose wife and two children were killed by a drunk driver, and how this man chose to forgive the driver right at that moment. You can see Chris Williams, the man who forgave, talk about his experience by clicking here. Not forgiving is like a cluttered house: you are completely filled with thoughts of the past, and there is no room left for any new thoughts to be let in. Many of us may not forgive because we feel that to forgive a wrong that was done to us is tantamount to saying that the offense did not occur at all. We find it difficult for this to agree with our personal sense of justice – if forgiveness means a denial of wrongdoing, then we refuse to forgive. The problem with never forgiving is that eventually there will be no one left who has never done us wrong and we will find ourselves alone in the world. We must realize that forgiveness allows us to acknowledge that we indeed were hurt by the actions of another, but that we have chosen to continue on our journey without carrying that hurt with us as a burden that will ultimately be of no use to either party. If we forgive someone for hurting us in the past, does that mean that we are giving that person a license to continue to do so in the future? No. We can forgive a person for their transgressions against us, and we can use this forgiveness as a way to divest ourselves of the harmful baggage given to us by the other person, and this will allow us to move on, and remove ourselves from a bad situation so that we may avoid being hurt again. If we do not forgive, we are setting ourselves up to experience a recurring negative situation, as we are not able to move forward. In this way we can unknowingly become “stuck” in a loop of negative energy, that we are maintaining by our refusal to let go. Sometimes the behavior of others may baffle us. Why is he doing this to me? Why is she acting like that? We should make the effort to try to understand the circumstances surrounding the other person which are causing them to act in a certain way. If we are able to view a situation from another person’s perspective, we will be much closer to being able to forgive them for their actions. During the final week of this discussion we talked about trust, as it relates to forgiveness. Trust is not built overnight. Because we have forgiven someone, this does not mean that we immediately trust them again. It takes time to mend and rebuild trust. Forgiveness is given freely and is unconditional; Trust must be earned. Forgiveness allows you to let go of the past; Trust is built up in the future. Forgiveness should not be dependent upon the other person. We should not wait for apologies, or for the other party to change their ways before we forgive them. We forgive others not to grant them a favor, but to heal ourselves. Forgiveness benefits our own well being; our mental and emotional health. When we forgive, our burdens are lifted and we are once again made whole so that we may walk a path of Love. Always great to go back and refresh those conversations. And that was a great conversation! 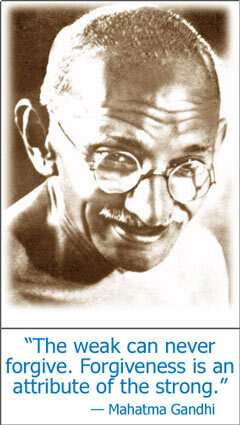 Forgiveness is a kindness…first to oneself, then to another. Letting go and moving forward is one of life’s intrinsic lessons. The more you do it, the easier it gets.